Aloe vera is a magical plant, it is loaded with many benefits that you can't image, aloe vera is a type of plant which you can grow in the balcony of your house, we will tell you the top benefits of aloe vera. aloe vera is a gel-based plant and if you want the benefits of the plant you have to cut the plant gently. Aloe vera contains some powerful minerals like magnesium, copper, calcium, and manganese. two hormones are present in this called Auxin and "Gibberellins" which helps in healing our body wounds aloe vera helps in digestion, aloe vera contains many nutrients which are good for skin. aloe vera contains glycerin. Aloe vera nourishes your skin. prevents signs of aging. It removes your dead cells which are presented on your skin and makes healthy skin. 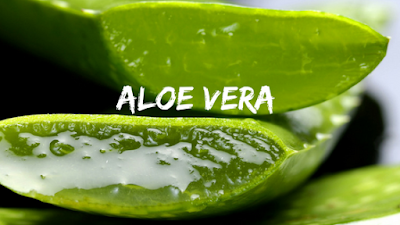 It helps your skin by removing acne from it, aloe vera has an anti-inflammatory and antibacterial agent this helps your skin to remove acne from it. reduces dandruff, many shampoo company makers use aloe vera in their shampoo. aloe vera strengthens your hairs. aloe vera is great for your teeth; you can use it as a toothpaste. eating or adding in your juice or smoothie can helps you with your good immune system. Aloe vera contains anticancer and anti-tumor properties. Lowers the risk of cancer. aloe vera contains vitamin A, B 12, C, E, and folic acid. Aloe vera gel reduces the stretch marks from your body. aloe vera promotes hair growth, it removes the dead cell from your scalp. Aloe is truly an amazing plant and you can use or drink it by making its juice or you can add this in diet meal, aloe vera is also good for those people whose are suffering from any disease. Aloe vera can be eaten raw and you it can be used as raw on the skin for moisturizing the skin, aloe vera is a very famous plant because it is known for its magical benefits. aloe vera can reduce the size of any a fresh pimple occurring on your face, if your skin feels that there is a new pimple which is growing at that situation you can apply aloe vera gel by cutting it gently or you can use aloe vera cream but my suggestion is to put natural gel from the plant. Aloe vera is a plant which you can use it for making your skin glow naturally, you just have to follow some steps like you have to cut aloe vera leaf just the size of biscuit and crush it and make a paste of it and add one tablespoon of lemon and mix it for 1-2 minutes, now you can you can use it on your face for scrubbing, you have to try this for 2 weeks and after that it will make your skin smooth, glower and clear. Many of them don't know that many big brands of cosmetics have used this for decades as their main ingredient in anti-aging creams and glowing creams and many pharmaceutical companies are using this for their medicines for the skin and antioxidants. I hope you all have liked this if you like this you have any queries about aloe vera you can mail me or you can comment.